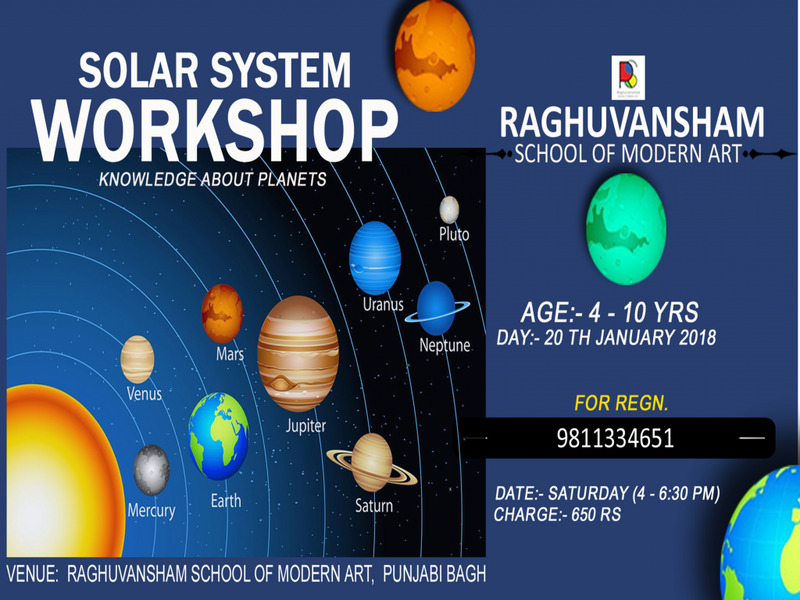 RSMA is coming with a educational workshop of Solar system. This workshop is designed to cover the Earth and Space. It uses model making and other engaging activities to ensure the best possible learning of important scientific knowledge. 1. The size, distances, orbits and composition of the main bodies in the Solar System: the Earth, Sun and Moon, as well as the planets. 2. Why we have days, years, seasons and lunar phases - how these are caused by the relative movements of the Sun, Earth and Moon. These important topics are brought to life using creative hands-on activities, such as model & all planets bookmarks. Age - 4-10 yrs Date - 20th January Day- Saturday- 4-6:30 pm Venue - Punjabi bagh branch.